Welcome to the website of the 6th edition of the Robot Vision challenge! The 6th edition of the Robot Vision challenge follows five previous successful events. As for the previous editions, the challenge will address the problem of semantic place classification using visual and depth information including object recognition. The proposal for Robot Vision 2014 task is focused on the use of multimodal information (visual and depth images) with application to semantic localization and object recognition. The main objective of this edition is to address the problem of robot localization in parallel to object recognition from a semantic point of view. Both problems are inherently related: the objects present in a scene can help to determine the room category and vice versa. Solutions presented should be as general as possible while specific proposals are not desired. 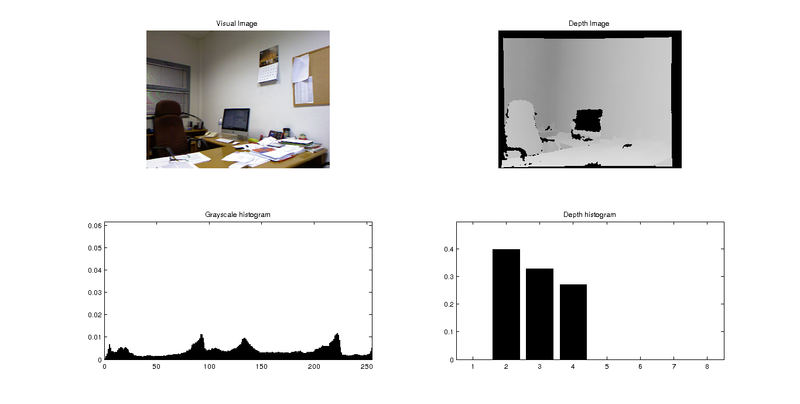 In addition to the use of visual data, depth images acquired from a Microsoft Kinect device will be used, which has demonstrated to be a de facto standard in the use of depth images. In this new edition of the task, we will introduce strong variations between training and test scenarios, increasing the range application of participant proposals. Thanks to these changes, solutions presented in the task will be expected to solve the proposed challenge but also to solve the object recognition and localization problems in any environment. An increasing amount of autonomous robots are expected to be built in the future to allow for ambient assisted living, responding to an aging population and a decreasing work force. In this context robots need to be able to adapt to environments, being able to localize their position based on integrated cameras and also recognize the objects that are suitable for manipulation. Place localization and object recognition can happen under very different lighting conditions (sunny and cloudy days, artificial lighting or darkness), and changing configurations on the environment distribution. That is, similar room categories and objects should be recognized in different buildings or environments, even when some of these environments have not been imaged previously. The detection of objects and the use of multimodal data through distance sensors underline the multimodal nature of the task. To participate in this task, please register by following the instructions found in the main ImageCLEF 2014 webpage. All frames are free for download without user or password. In addition to the dataset, we have created a useful Matlab script to be used as template for participants proposals. It performs all the steps for generating challenge solutions (features generation, training, classification and performance evaluation) and can be downloaded from the following link. The script processes a tiny dataset with 50 frames for training and 20 for test. In order to allow participants to evaluate their proposals with new sequences, we have created a new validation sequence (1500 images). 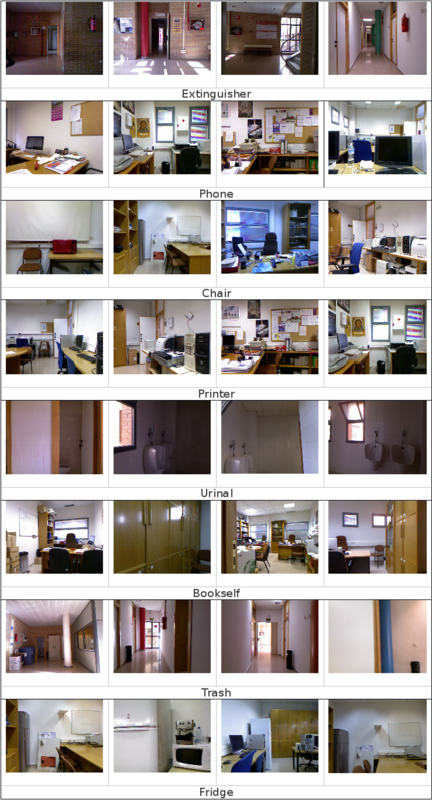 This sequence includes new images of a non-previously seen building that presents similar room categories and objects as for the training sequences. Test sequence also includes images from this new building. Therefore, participants proposals are expected to cope with this situation. All frames are free for download without user or password. 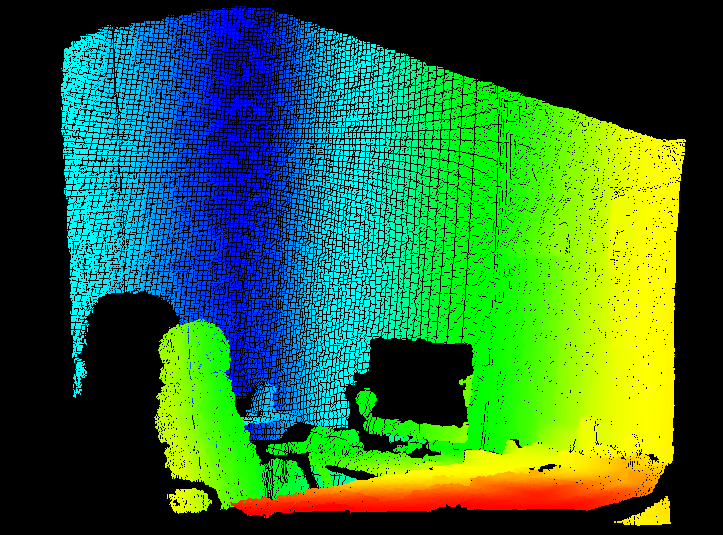 Participants have to process the test dataset and classify the room category and objects appearance for each frame. This is done by uploading submission files to the ImageCLEF system (see section below). Submission files can be directly generated when using the MATLAB script. Such script is similar to the original one but it includes the configuration for using test sequence. where Unknown is used when the room category is not classified. !Object is used to select that the Object does not appear in the scene. Object is used to select that the Object appears in the scene. The submissions will be received through the ImageCLEF 2014 system, going to "Runs" and then "Submit run" and select track "ImageCLEF:RobotVision". For each frame in the test sequence, participants have to provide information related to the class/room category but also related to the presence of the objects listed in the dataset. The number of times a specific object appears in a frame it is not relevant. The final score for a run will be the sum of all the scores obtained for the frames included in the test sequence. Three example of performance evaluation for a single test frame are exposed in the following lines.